In the course certain methods for idea generation will be explained. This will help participants develop and drive their own ideas. The MOOC ‘Idea Generation’ is a collaboration between the Karlsruhe Institute of Technology (KIT) and KIC InnoEnergy aiming to explain techniques for the goal and process oriented generation of ideas. Idea generation is part of the fuzzy front end of the innovation process. Because of the close collaboration between KIT and KIC InnoEnergy, participants have the possibility to work on specific innovation topics in the area of sustainable energy. Dr. Daniel Jeffrey Koch will impart a broadly diversified knowledge of the methods used in idea generation. Moreover, Felix Teufel and his colleague Dominic Buchholz (both from the Business Innovation sector in KIC InnoEnergy) will assume a supporting role in the course to present the topics innovation and idea generation from a practical view. The course language is English, and the workload is about 4h/week. The aim of the course is to enable participants to apply methods of idea generation on their own project. Besides explaining these methods to other participants, it is also expected that participants develop a self-chosen idea. Participants will be able to understand and apply certain methods of idea generation on any self chosen topic. For example, they will understand and apply methods such as Mindmapping & Clustering, 6-3-5, World Cafe & DeBono Hats, Concept Mapping, Scenario Techniques ( e.g. STEEP), Roadmapping and many more - always in a structured process. No prior knowledge needed, only being curious and interested in a topic which could be further developed. Chapter 1 - Introduction: The sketch in your head! Chapter 5 - Future Assumptions: Using watercolour or oil? We suggest that you dedicate approximately 4 hours per week for watching lecture videos, taking quizzes and completing homework assignments. Daniel Jeffrey Koch studied Business Administration with a focus on International Management, Organization & Personnel, Service Management and Marketing at the Friedrich-Schiller University Jena, the Catholic University Eichstätt and the Ecole Superieure des Sciences Commerciale d´Angers (ESSCA) in Budapest from 2000 to 2004. On completion of his studies he worked as a research assistant in the department of Innovation and Technology Management at the University of Kassel where he wrote his PhD thesis on “Internationalization of Technological Service Innovations in the Capital Goods Industry”. Under the direction of Professor Marion A. Weissenberger-Eibl Daniel Jeffrey Koch worked as a project manager at the Competence Center Innovation and Technology Management and Foresight at the Fraunhofer Institute for Systems and Innovation Research ISI and until the end of 2012 he was Coordinator of the Business Unit Management of Innovations and Technology. Since the beginning of 2013 he has been a scientific assistant to the directors of the Institute and project manager at the Fraunhofer ISI. He is also lecturing at the Karlsruhe Institute of Technology KIT. 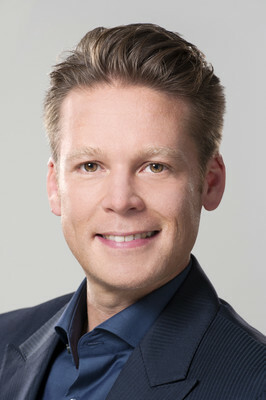 Dominic Buchholz studied Chemical and Process Engineering with a focus on Process and Plant Design and Fuel Chemistry and Technology at the Karlsruhe Institute of Technology from 1998 to 2004. On completion of his studies he worked as a research assistant at the Engler-Bunte-Institute where he wrote his PhD thesis on “Experimental studies and simulation of the carburization of steel with acetylene”. Since 2009 he is R&D manager renewable gases at the DVGW research center. Since 2014 he is consulting the thematic field "Energy from Chemical Fuels" of KIC InnoEnergy Germany GmbH as Technology Officer. Felix studied Mechanical Engineering at the Karlsruhe Institute of Technology (KIT) and the University of California, Santa Barbara (UCSB). He then joined the research and innovation department of EnBW AG, Germany's third largest utility. There he was working on research projects related to storage, like electric mobility projects. 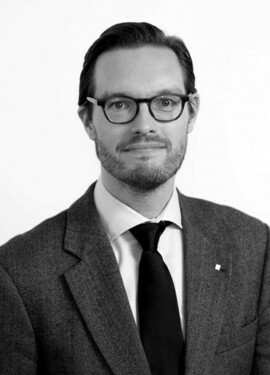 In 2013 Felix joined KIC InnoEnergy as business manager innovation. There he is managing a project portfolio of >10 development projects in the renewable energy field. The aim of each project is a product or service that can be commercialized after project finalization and leads to a financially sustainable project portfolio of KIC InnoEnergy. Since October 2015 Felix is responsible for the development activities at Nomadic Power GmbH as Head System Integration.